The oldest and most charming of London’s eight Royal Parks, St James’s Park is surrounded by the three great palaces—the ancient Palace of Westminster (now the houses of Parliament), St James’s Palace and Buckingham Palace— that encapsulate the power and pomp of the world’s favourite capital city. Yet tucked away behind the grand buildings of state and empire, a handful of discreet, understated streets abutting the park have been, and still are, home to some of the richest and most influential men of their day: from yesterday’s peers, Prime Ministers, painters and industrialists to today’s pop stars, hedge-funders, bankers and heads of multinational corporations. One of the reasons why the quiet backwaters of Westminster may have been overlooked by wealthy foreigners in favour of the shiny enclaves of Belgravia, Kensington and Mayfair is that many of the area’s most important buildings have been used as government or commercial offices since the Second World War and are only now returning to residential use. Another factor is that houses over- looking St James’s Park in SW1 rarely come to the open market, says Noel de Keyzer of Savills (020–7730 0822), who has been showing potential purchasers from Russia, Asia and the Far East around sumptuous, Grade I-listed, 32, Queen Anne’s Gate (Fig 1), which is for sale freehold at a guide price of £25 million. 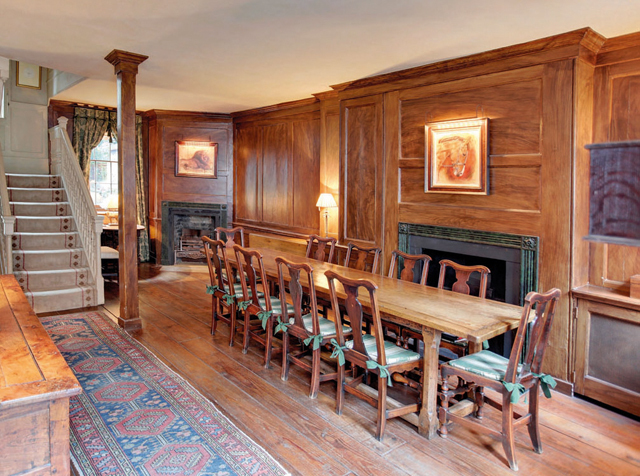 Part of a terrace of elegant early-18th-century houses that runs parallel to Birdcage Walk and St James’s Park, 32, Queen Anne’s Gate is, according to its listing, one of ‘an exceptional group of Queen Anne houses built between 1700 and 1704’. More recently, the building was the London headquarters of the National Trust before its present owners bought it three years ago and embarked on an ambitious renovation programme, which, in contrast to the sobriety of the Queen Anne brick façade, has seen the interior exuberantly refurbished to contemporary ‘international’ standards of technology and design. The house differs from other properties in the street in that a bowed extension, added to the rear during a late-18th-/early-19th-century remodelling, allowed for more imposing rear reception rooms, notably the majestic, first-floor piano nobile directly overlooking St James’s Park. Palatial accommodation on four floors includes a state-of-the-art kitchen, a breakfast room and a wine cellar on the lower ground floor; an entrance hall, study, drawing room, bar and roof terrace on the ground floor; a library, dining room and servery on the first floor; a grand master suite with his-and-hers bathrooms on the second floor; three bedroom suites, a fourth bedroom and a shower room on the third floor; and two further bedrooms with bath/ showers, a family room and a terrace on the fourth floor. Adjoining Queen Anne’s Gate is Old Queen Street, another historic Westminster thoroughfare overlooking Birdcage Walk and St James’s Park, where Grade II-listed, Georgian, No 26 (Fig 2) is for sale through Hathaways (020–7222 3133) and Knight Frank (020–7881 7722) at ‘offers over £21m’ for the freehold— not including the garden, which is held under licence from the Royal Parks. 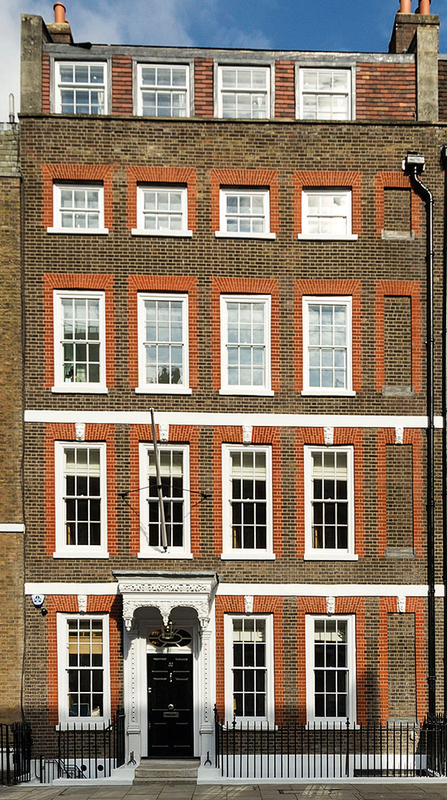 A striking black-brick house built in about 1770, 26, Old Queen St was previously used as offices and owned by the Christ’s Hospital Foundation. It has now been magnificently refurbished as a splendid family home, with four grand reception rooms, a family kitchen, dining and living rooms on the lower ground floor and five bedrooms, including a two-storey master suite with its own study, two bathrooms, two dressing rooms, and an elaborate internal staircase. It also boasts a media room with a terrace on the top floor, with views over Horse Guards Parade, the London Eye, Westminster Abbey and the House of Lords. 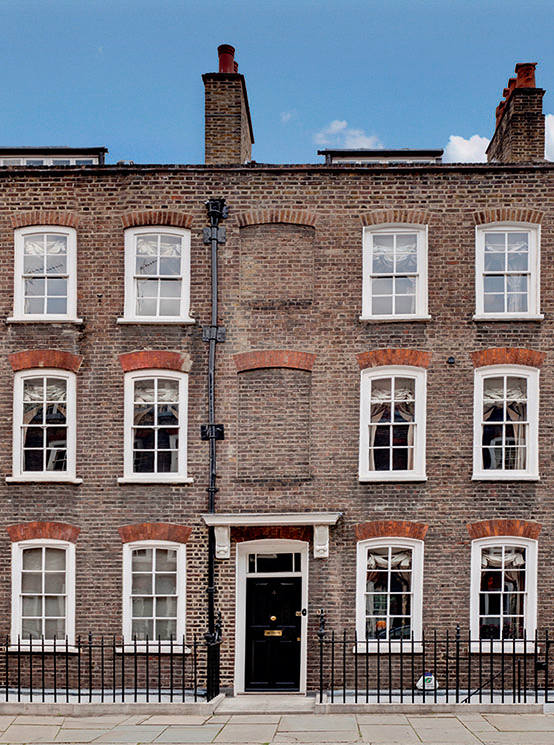 Hathaways are also handling the sale—at a guide price of £5.9m— of a rare Westminster gem, 4, Lord North Street (Fig 3), a Grade II*- listed, Georgian ‘double house’, built between 1720 and 1725 as two adjacent houses and combined into one in the early 1900s. Sin house has been the cherished family home of financial wizard Adam Wethered, his wife, Diana, and their five children. 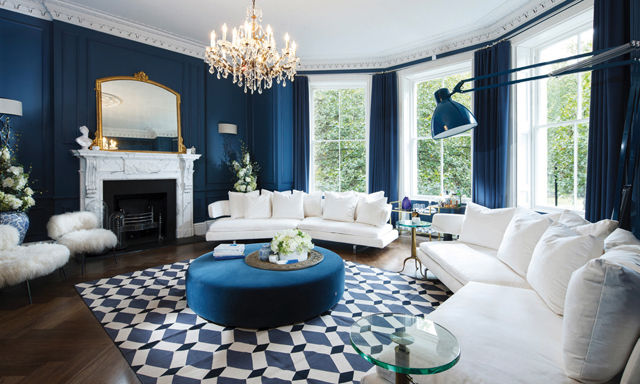 With its 30ft of frontage and 3,587sq ft of living space (excluding the vaults and lower levels), the house has well-proportioned, light-filled rooms—four reception rooms, six bedrooms and four bath/shower rooms—that led to its being chosen as the backdrop for one of the first Farrow & Ball catalogues. Although largely unrefurbished, but carefully maintained, this is a special house of great character, which has one of the largest walled gardens in Westminster. Described by the writer Bunny Smedley as ‘the natural territory of political insiders’ (Lord North Street 1725–1996: A Westminster Portrait), Lord North Street runs from Smith Square to Great Peter Street— an area often referred to as Old Westminster—and was one of London’s first speculative developments, built 300 years ago to house the clerical staff of Westminster and the Court. Anthony Eden and Harold Wilson both had houses here, as, more recently, did Jonathan Aitken. And 4, Lord North Street was once owned by the former Home Secretary Lord Anderson, the inventor of the Anderson air-raid shelter, whose design may well have been inspired by the vaults beneath his house.